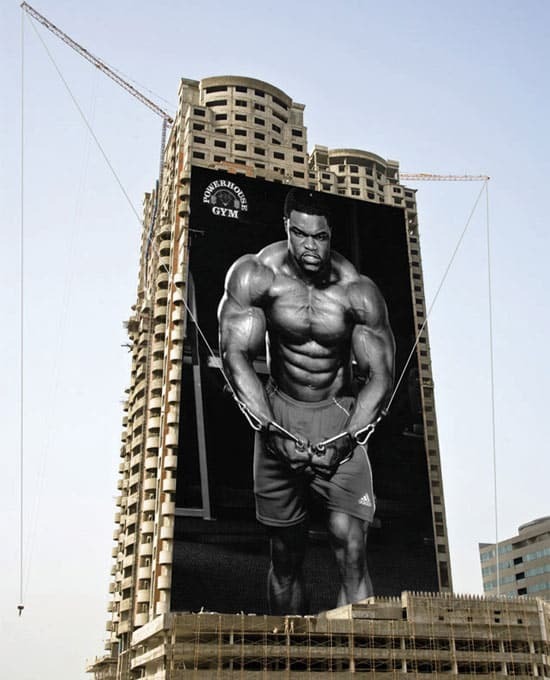 Powerhouse Gym has made creative advertisements where they have used huge posters of bodybuilders in action. 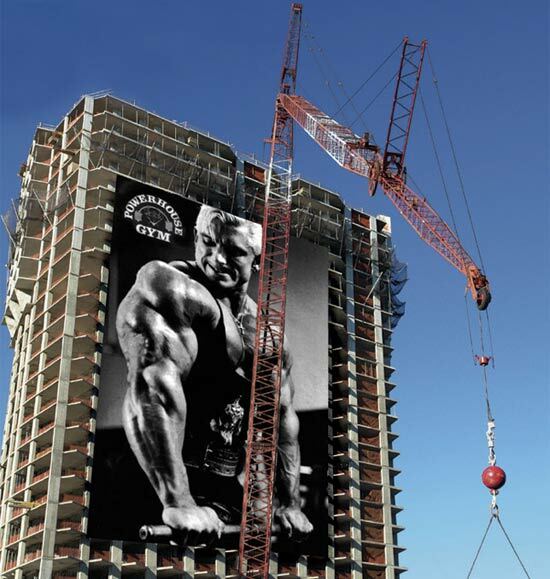 The posters are placed near city construction works so it looks like the bodybuilders are pulling up real cranes and pushing up building walls. 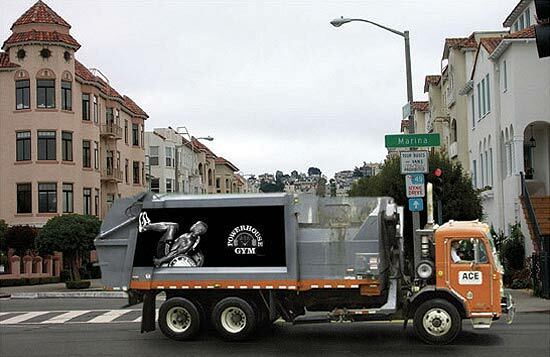 One of the posters are placed on trash trucks so it looks like the bodybuilder is doing “leg press” with the truck’s back door. 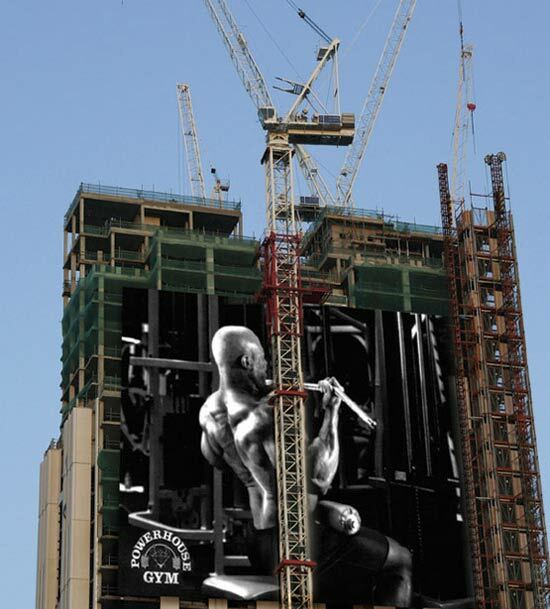 Similar advertisements have been done by Vincent Dixon, but he used t-shirts instead of buildings and construction works.